Munir Ahmed’s humility is most evident when he narrates his life story. 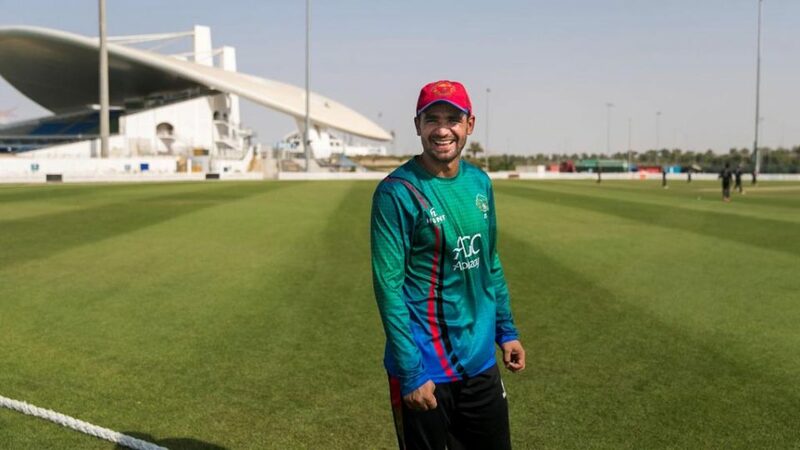 Like most children growing up in Afghanistan, he has had to traverse rough roads to realise his childhood dreams – one of which is to represent his country in cricket. After years of working hard and making sacrifices, the young wicketkeeper has been picked to play for the national team in the Asia Cup, to be held in the UAE from September 15-28. Quite naturally, the former Under 19 and U23 player considers it the biggest break of his life and career. Munir, born and raised in Kandahar, values every step he took towards this end. Just as importantly, he remembers all the support he received from his four older brothers. “One of my brothers was a cricket coach, but the others toiled in menial work and had to travel to far off places from home to support me,” he said, recalling the hardships of playing the game full time in the country. “I spent most of my time training and playing cricket, and constantly proving my potential to be called up by the national team. I could have done this only with the help of my family,” he pointed out. Munir is determined, therefore, to repay his debt of gratitude to them one day. “I wish my time will come soon to help them to elevate their lives,” he said. The 22-year-old wicketkeeper-batsman was picked for the continental championship on the basis of a successful domestic season. He averaged 49.86 for Boost Region, one of the six first-class teams in the country. He was also brilliant in List A games, scoring at 48.42 runs per innings. Munir began dreaming of playing for Afghanistan back in 2009. It happened when the national team made an important breakthrough in their history – in far away South Africa. The Afghans were bidding to qualify for the 2011 50-overs World Cup, and while they failed to do that, they gained one-day international status from the International Cricket Council following their success in Division Three of the World Cup League. Munir cannot forget the day the team arrived home. “The players were given a hero’s welcome when they returned,” he recalled. “That’s when I seriously thought to give a career in cricket a try. Nine years later, he is in the team – and he is soaking up the moment. Munir continues to find the support he needs for his continued development. The positivity is mutual, with Afghanistan wicketkeeper Mohammed Shahzad extremely pleased with his understudy. The 30-year-old opening batsman said one of the good things about Munir was that he willing to learn fast. Munir’s journey has indeed only just begun, but he knows what to do when he is given a game. “I’m ready to play any time when the opportunity arrives,” he said.